This fun and cute baby orangutan greeting card would help to celebrate many life's occasions. 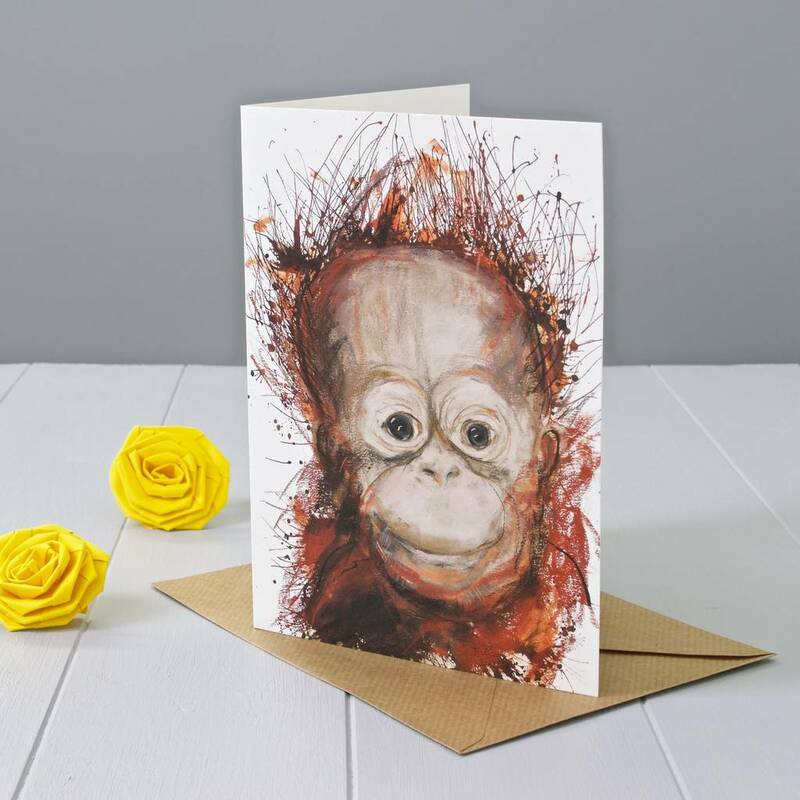 The card is perfect for any animal lover young or old and it is bound to make the recipient smile! It would suit many life's occasions like anniversary, good luck, birthday, thank you or anything you like, the choice is yours. 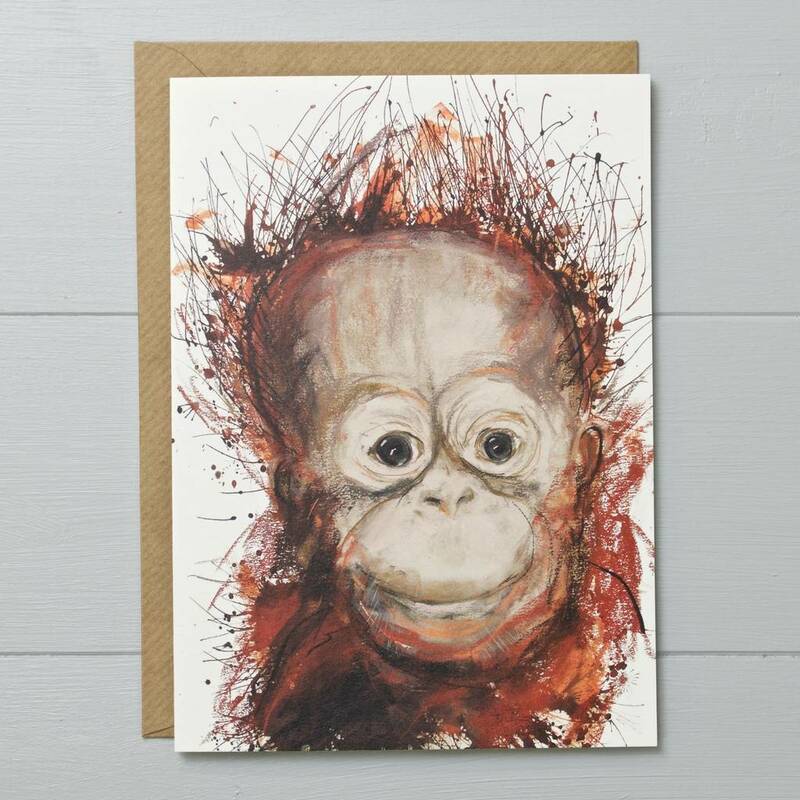 It would be great for those who love apes and monkeys or for those who might be a cheeky monkey themselves!